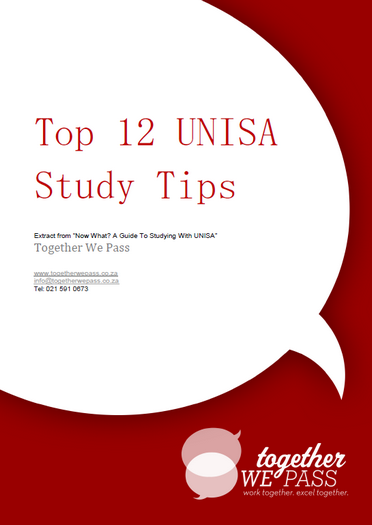 Download Top 12 UNISA Study Tips on how to study better! 847 students downloaded these tips already! We know studying through UNISA is difficult. We know that you have to cope with a lot of stress and manage your time efficiently. That is why we want to share these Top 12 UNISA Study Tips with you so you can maximize your studying efforts and improve your marks.